This weekend marks the big annual ZooFest on 14th Street between O and P Streets in Lincoln. The Zoo Bar hosts the annual outdoor concert event to celebrate their anniversary. This year the club marks a historic 42 years. It is one of the oldest blues venues in the country with a history that is told both in the tattered posters on the walls and in the greats that continue to grace its stage. 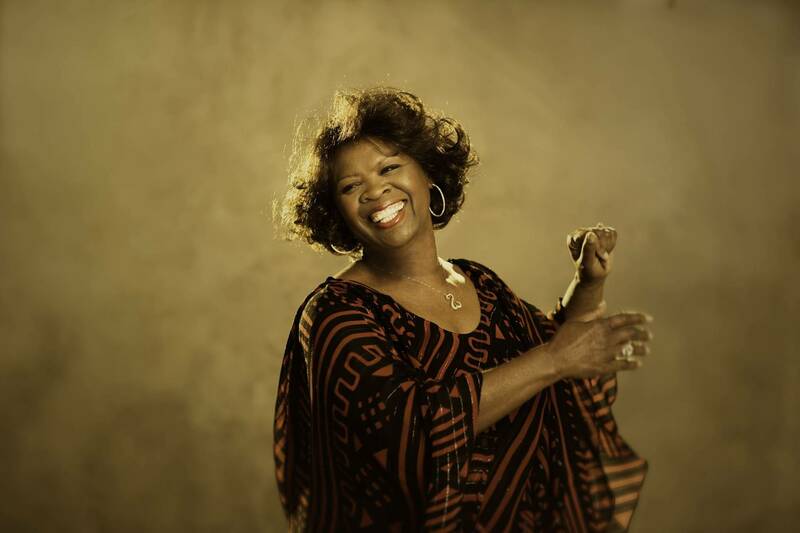 This year’s anniversary street festival features the legendary Irma Thomas. Tickets for Friday and Saturday are $15 at the gate. You can bring your own chairs and blankets but coolers and outside food and drink are not allowed. Vendors will be onsite. For all the details visit zoobar.com. Thursday night the music is inside the club with Chicago’s Rockin’ Johnny Burgin at 6 p.m followed by the great Earl Cate and his band Earl & Them featuring “Baby” Jason Davis at 8 p.m.. Closing out the night is A Ferocious Jungle Cat at 10 p.m.
Then the staff and volunteers turn the street in front of the Zoo into a festival stage. It’s a big effort that results in a great festival right in the middle of downtown Lincoln. The Zoo continues to step up its bookings for ZooFest. Josh Hoyer & The Shadowboxers bring it all to a rousing close with an 11 p.m. set they have been working on with special guests Xion, CJ Mills and Deeep-C.
Saturday, July 11, the there are more blues stars on tap. The day’s lineup includes blues supergroup Mark Hummel, Anson Funderburgh and Little Charlie Baty performing with their Golden State/Lone-Star Revue at 7 p.m. All three are heavy-hitters in their own right. Guitarists Funderburgh and Baty have recorded a significant body of contemporary blues guitar records between them. Together with their high-powered rhythm section they are making some of the best live blues going. See markhummel.com/golden_state. Saturday also includes Austin’s always-incendiary Carolyn Wonderland (5 p.m.), Kris Lager Band 9 p.m. and AZP (11 p.m.) Afternoon sets from The Bottletops (1 p.m.) and Tijuana Gigolos (3 p.m.) round out Saturday’s schedule. The ZooFest street party is always a great, all-ages environment to reconnect with old friends, to bring your kids out to experience some great live music and, of course, to celebrate the 42 years and going strong contribution that Lincoln’s Zoo Bar brings to the community and the music. The 21st Saloon Thursday blues matinees are back, 6-9 p.m. every Thursday. Thursday, July 9, the club showcases Long Beach, California’s, Laurie Morvan Band. They’ve been seen before at The 21st and at last fall’s benefit for Walter Trout Band members. Morvan and her band made the top 10 finalists for the 2008 International Blues Challenge. In 2010 they won the Blues Foundation’s award for Best Self-Produced CD. Morvan’s high-energy, rocking blues has put the group on stages at over 50 festivals and 400 hundred shows throughout the USA, Canada and Europe. See LaurieMorvan.com. Guitar fans get a double-dose of driving guitar blues with Colorado’s Austin Young Band opening up at 5:30 p.m.
Next Thursday, July 16, The 21st hosts everybody’s favorite boogie-blues band The Bel Airs with special guests Little Mike & the Tornadoes. Keep up with The 21st Saloon on Facebook. See what happens when a couple of Omaha’s most well-respected sound guys take the stage themselves. Omaha band Big Wheel started out as, in their words, “on-again, off-again musical collaboration of songwriters Jason Churchill and Kevin Hiddleston and the fun idea to make a band comprised of local sound engineers.” But, the band discovered “the sound-man-band didn’t work.” Now Big Wheel includes veteran local musician and sound man Churchill, Hiddleston, Bill Nanson (drums) and Mike Matsui (bass). Big Wheel describes their sound as “classic-rock influenced” and adds “We don’t play emo, we don’t play metal; we play guitar-oriented rock songs with hooks.” Big Wheel hosts a CD release party this weekend with The Sons of Reverb Lounge and The Rex Granite Band featuring Sarah Benck, who was an original Big Wheel. The music turns up at Reverb Lounge Friday, July 10, 9 p.m. Remember the 2015 Hullabaloo Music Festival is coming up July 23-25 at Sokol Park south of Bellevue. The schedule is up at hullabaloomusicfestival.com. Performers include blues and roots favorites Indigenous, Samantha Fish, Kris Lager Band, Josh Hoyer & The Shadowboxers and many more. The festival presents three big nights and two days of music Thursday, July 23, through Saturday night, July 25. On-site camping is an option or you can purchase daily passes. Check out the pricing and ticket info at the site along with the full schedule. The annual Jazz on the Green free concert series at Midtown Crossing kicks off Thursday, July 9, with New Orleans’ group the Stooges Brass Band, a popular ensemble in the funky Louisiana brass band tradition. For the rest of the lineup and event details see jazzonthegreenomaha.com. Blues Society of Omaha’s BluesEd band Dilemma opens the show at 6:30 p.m. See bluesed.com and facebook.com/BluesEd. Catch all the current BluesEd bands this Sunday, July 12, 4-8 p.m. at The 21st Saloon as they showcase their talents. All ages are welcome and performing are Silver Lining, Us & Them, Voodoo Vinyl, Highway 61 and Far & Wide. The Bridge Beats free concert series at the base of the Bob Kerrey Pedestrian Bridge continues Friday, July 10. 6 p.m. with sets from singer-songwriters Lee Bowes and Matt Whipkey. See all the details at bridgebeats.com. Songwriter Sturgill Simpson plays Sokol Hall Wednesday, July 15, with Cody Jinks opening. Simpson describes his music as “bonafide mountain hillbilly soul.” For more information on tickets see onepercentproductions.com and for more on Simpson check sturgillsimpson.com. If you appreciate these digital-only weekly updates, please “Like” and share them out to your own social media and “Like” the column and the Hoodoo music posts on Facebook.